Equine Gastric Ulcer Syndrome (EGUS) can cause a wide variety of symptoms in horses, such as poor performance, behaviour changes, colic, weight loss, nervousness, aggression as well as resentment of girthing, leg aids or grooming. Gastroscopy can be performed on the yard for horses with suspicion of Equine Gastric Ulcer Syndrome (EGUS). This involves passing a flexible endoscope through the horse’s nostril into the oesophagus and stomach; allowing images to be obtained of the oesophagus, stomach and early small intestine. We use a video gastroscope, showing live video footage on a mobile monitor in the stable. This is performed under sedation; horses tolerate the procedure very well. The equipment is mobile meaning this procedure can be performed in the comfort of your horse’s own stable, avoiding the need for stress of travel or visiting a hospital. If you are interested in this procedure, please contact the practice to arrange a consultation with a vet prior to scheduling gastroscopy. Airway disease is a common cause of reduced performance, especially in horses working at speed such as hunters and eventers. Increased noise at exercise (“Roaring”) may indicate an issue, or the only symptom may be poor performance. Upper airway endoscopy can be used to visualise the airway structures, with our mobile video endoscopy equipment showing live video footage when the horse is at rest. This procedure is performed in the comfort of your horse’s own stable, avoiding the need for stress of travel or visiting a hospital. We work with upper airway disease consultant specialists to advise on treatment plans for complex cases. We can also arrange dynamic (over-ground) endoscopy where appropriate, this procedure involves visualising the upper airway whilst the horse is working, allowing assessment of the airway as it is under most pressure. 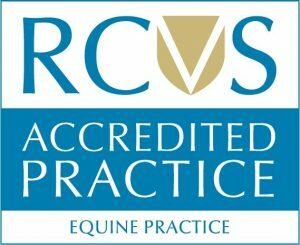 If you feel your horse may have an airway abnormality or performance issue, please contact the practice to arrange a consultation with a vet prior to scheduling endoscopy. How long does my horse need to be starved before gastroscopy? We ask you remove all food 16 hours prior to us performing gastroscopy. This is to ensure the stomach is empty and allows us to get as much information as possible from the procedure. Please be aware if your horse is likely to eat their bed, we recommend you place a muzzle at the same time as removing food. Should water be removed before gastroscopy? We ask water is removed 4 hours prior to us performing gastroscopy.